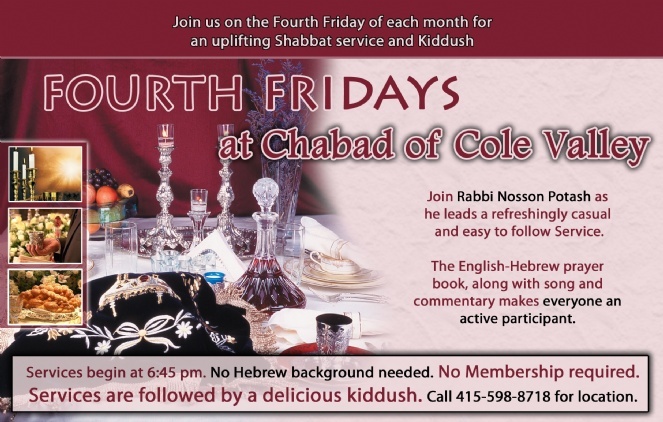 Join us for refreshingly easy to follow Friday night Shabbat service followed by a buffet Shabbat dinner. Please email Rabbi Nosson for more info. about the Ken Blady Shabbat. August 28 - Sponsorship Available! Honor a birthday or yohrtzeit by sponsoring a kiddush. Click here for more information.